There is nothing cuter than when my dog Fox howls, he moves from the deep resonating tones of his husky little bark, to a high pitched sign wave moving longitudinally out there into the ether. His little head swings back and he just cuts loose, like a grey wolf on a full moon. Whenever he gets going, his brother Jett almost always joins in, and in unison they manage to bang out a few special arias! I was pretty curious, so I did a little digging to see where this behavior stemmed from. Most of the “research” gravitates around their ancestors the grey wolf. Whenever I read science material about dogs that revert to the Grey Wolf, I am reminded of a conversation I had with one particular academic who said in a round about way, dogs share no more genetic material with grey wolves now, than humans do with a mouse. It has somewhat tampered my respect for the material I must admit, but when it comes to howling I have to say there’s just no denying where these little guys came from. Wolves howl, because the ‘howl’, and I can certainly vouch for this, travels further than a simple bark. It’s their signal to the pack, “Come to me I’ve found something great, a few milk maids handing out scraps” or, “hurry the hell up, there’s danger afoot”. 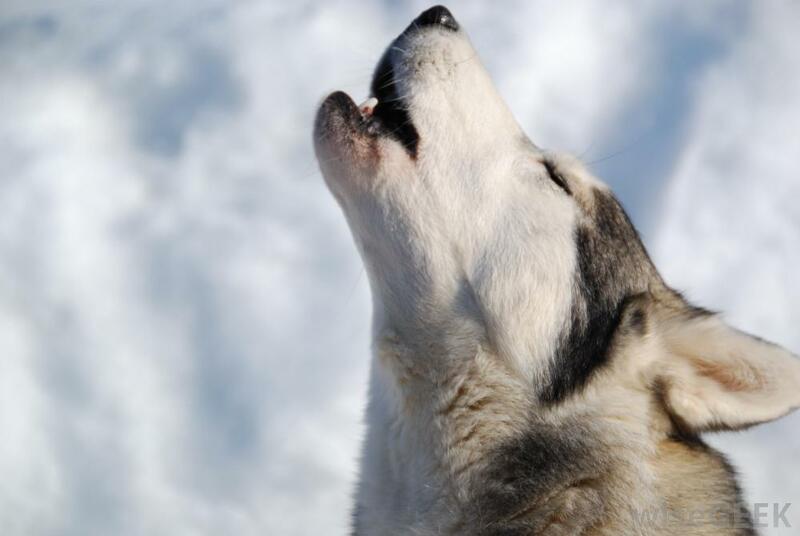 A wolf’s howl is much the same as a human’s voice, each wolf has its own howl, its own set of unique chords, resonating its own unique sound, that the rest of the pack comes to know. So, for example if an unfamiliar voice suddenly pipes up in the pack, a wolf knows immediately there is an intruder. You may notice that dogs tend to howl at high pitch sounds, that’s a little physics with a little logic. High pitch frequencies are similar to the frequency of a dogs howl. The reason your dog might start howling at the sound of a siren, or Keri Te Kanawa gaining some operatic momentum on Ave Maria, is probably because she sounds like a howling wolf to an unknowing canine, and he is merely answering her call. I have to say we had a Rottweiler who was really quite the diva, she would always have a good old howl when I played opera in the house, so much so in fact that I took to listening to it with my earphones on. She even won a canine singing contest, howling away to Puccini’s Madame Butterfly one time and the judges were speechless. If there is anyone reading this who knows they leave their dog alone for long periods at a time, then perhaps you want to think about giving him or her plenty of exercise before you split, and maybe getting in a dog walker or dog minder in from time to time so your woofa can have a bit of much needed company. No one wants to hear a lonely dog crying out for company.